UPDATE ON GALLERIA @ KOTARAYA MALL IN JOHOR BAHRU. 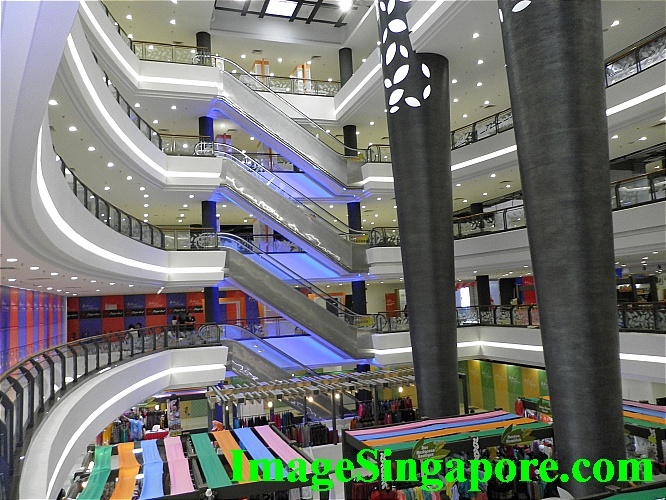 I visited the Galleria @ Kotaraya mall in Johor Bahru on yesterday ( Saturday afternoon ). 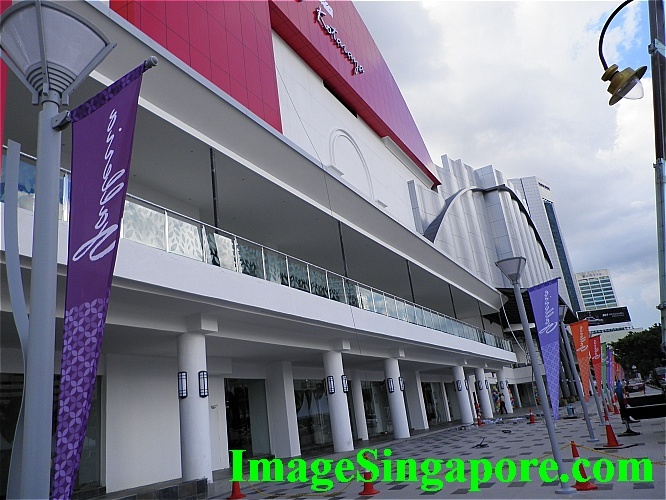 The mall exterior has a distinctive color of red and white; and I liked the spacious pavement and colorful flags attached to the brand new lamp posts. Renovation was still on going and the only retail business activity was on the atrium and the open space on the 1st floor. 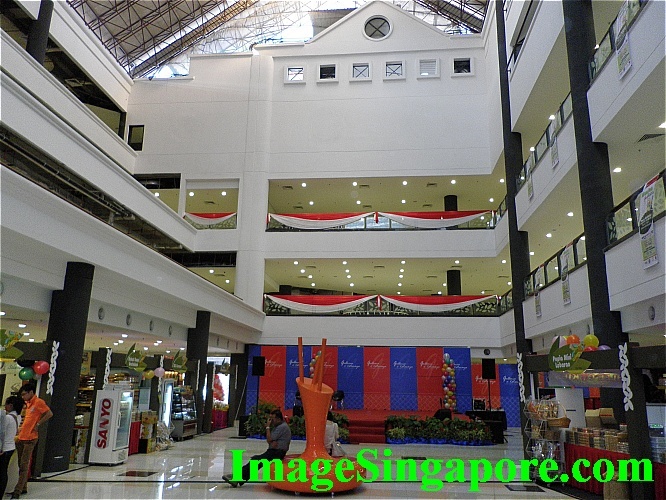 On the atrium, there were many individual kiosks selling mainly Malay clothes and accessories. On the 1st floor, there were karts selling traditional Malay cookies, candies and food mainly for the coming Hari Raya festival. The food court in the Galleria @Kotaraya mall was closed – perhaps it was due to the start of the fasting period. 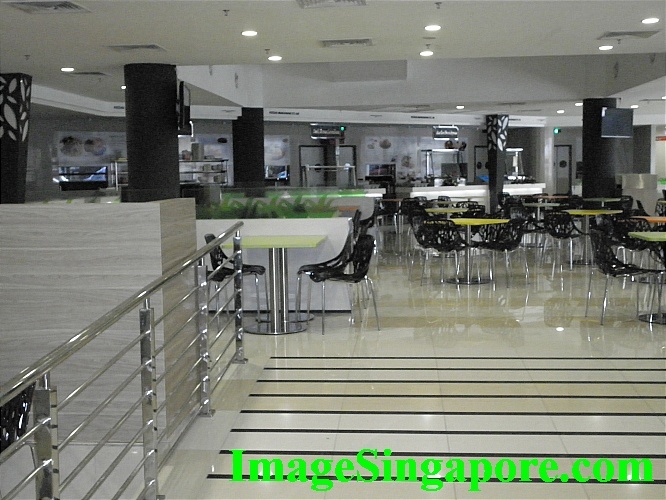 The food court looked spacious and well layout; and I wondered whether the original food stalls which I had patronized before the renovation would still be around. I am looking forward to try out the food here when the food court is up and running. Anyway I am glad the Pizza Hut would still be back in this mall as I saw their signage on a store outlet on the first floor – previously they were on the ground floor. For many years, I had been eating at Pizza Hut in the old Kotaraya Mall as this place has a relax and cosy atmosphere. 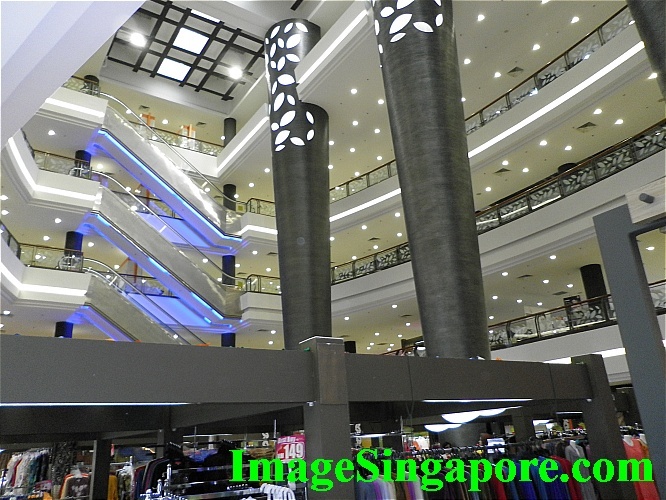 Overall, the new Galleria @ Kotaraya mall looked more impressive and spacious. As most of the shops are still empty and undergoing renovation; I do not have a idea what concept or merchandise mixed would be for this mall. 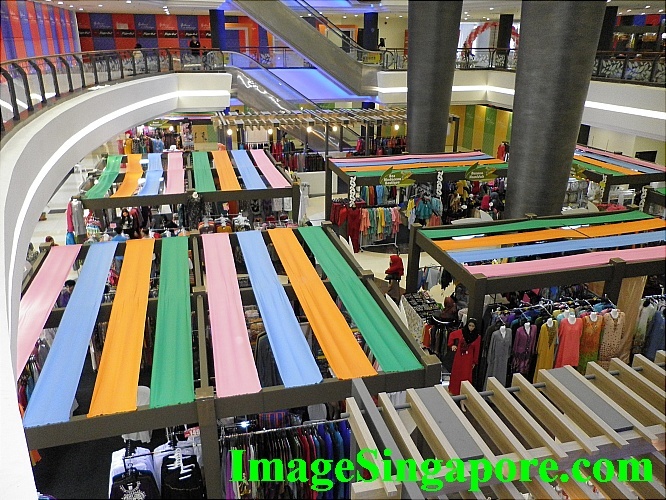 Are they going to be the same as before – selling Malay traditional clothes and food or a totally new concept similar to their neighbor City Square Mall; which by the way is also undergoing major revamp. Incidentally, the Puteri Pacific Hotel which is just behind the mall is also undergoing a major renovation. Many areas in the hotel have been blocked and boxed up. 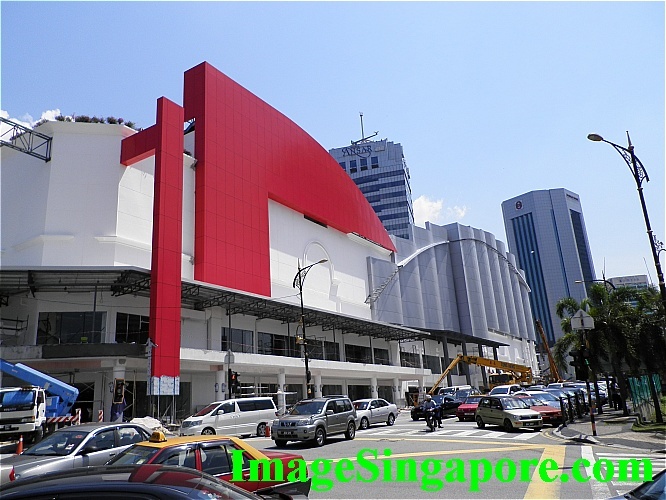 I wondered why are so many malls an hotels in Johor Bahru city undergoing major renovation? – Perhaps business is booming as more tourists are coming in. The Galleria @ Kotaraya is still undergoing renovation. Non of the shops are opened yet. Anyway, I will visit the Galleria @ Kotaraya Mall again hopefully in October in this year and update on the progress of this new mall. 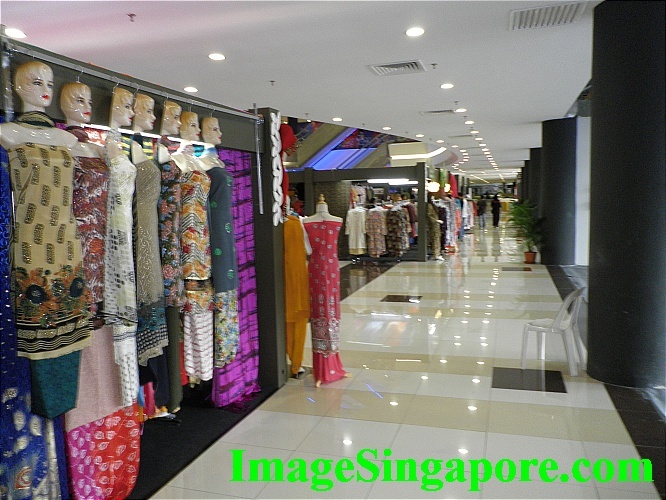 For those who are keen in buying Malay traditional clothing and food, this mall is the place to be. This is at the ground floor atrium of the Galleria @ Kotaraya Mall. The kiosks are selling mainly Malay clothes and fashion accessories. 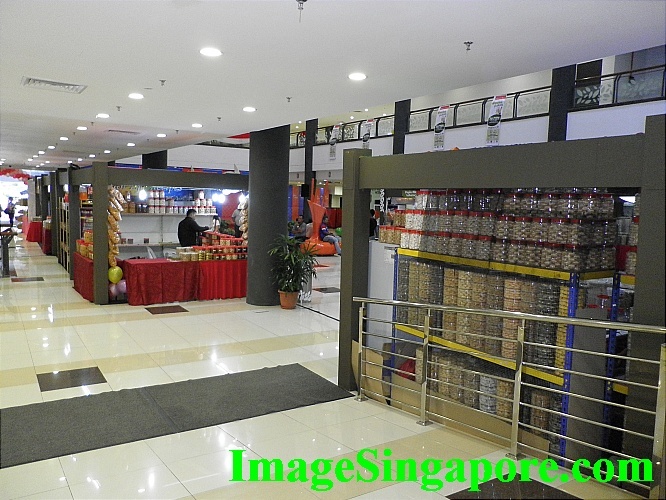 The revamp Galleria @ Kotaraya Mall looked more spacious and bright. The food court was totally empty. 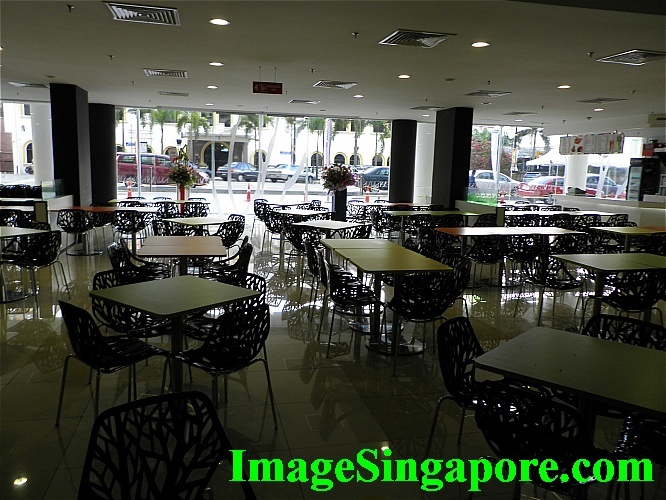 Lots of tables and seats at the food court. 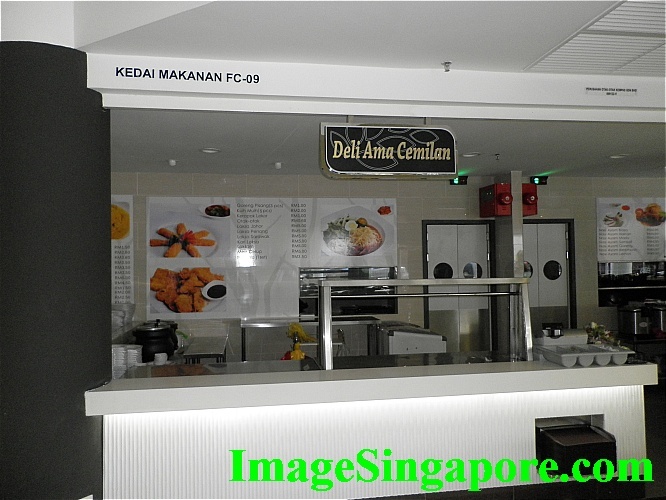 One of the Stalls at the Food Court. There are plenty of wide open space within the mall and lots of benches for shoppers to seat and rest. 1600 PANDAS AT CITY SQUARE MALL, JOHOR BAHRU.